Michael Lynn Kelley Jr. 40, of Nordheim passed away Sat. January 19, 2019. 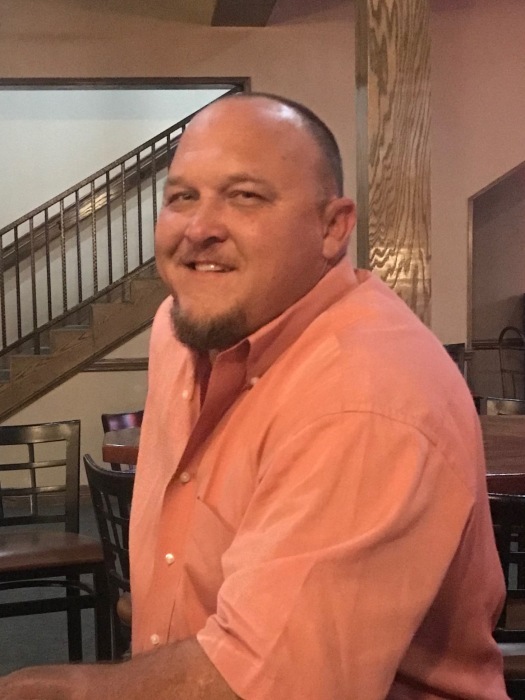 He was born April 20, 1978 in Ganado, TX to Brenda Knox and the late Michael Kelley Sr. Michael was known to have a huge heart, being a great friend that would do anything for anyone and never met a stranger. He enjoyed coaching youth football, working the ranch with Dad, William E. Knox Sr. and most of all hunting with his son Ryan. He was a proud father. He is survived by his son Ryan Kelley, mother Brenda (William) Knox, sister Michelle (Matt) Dunn, half-sister Tiffany Nichols, half-brother Joe Knox, step brothers Everett Knox and Lucas Grahmann, grandmother Evelyn Bures and numerous nieces and nephews. He was preceded in death by his father, grandmother Anita Kelley and grandfather Bernard Bures. Visitation will be Friday January 25, 2019 from 12:30-2:00 pm at St. Paul Lutheran Church with funeral services beginning at 2 pm. Interment will follow at Weesatche Cemetery. Pallbearers will be Chris Benavides, Andy Koenig Jr., Jamie Bolton, Robert Knox, Trey Moya, Robby Leuschner, Joe Knox, Arlen Parma, Matthew Dunn and Steven Nelson. Honorary pallbearers Employees of Dewitt County especially DCSO, Ratcliff community of friends and the entire Yorktown Youth Football Association.